Experience the true magic which still shrouds Myanmar. Because it only recently opened up to the world, the country is mercifully undiscovered by mass tourism and has a sincerity that makes it transcendent. 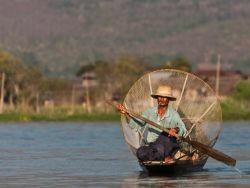 Located at the foothills of the Himalaya, yet filled with tropical plains, the teak-filled jungles, the shimmering stupas floating above the treetops, and the Ayeyarwady River running through it, Myanmar has preserved its cultures and traditions more than any other Asian country.